Elizabeth "Annie" FLEMMING, daughter of Andrew FLEMING and Helen "Ellen" Douglas FINDLAY, was born on 7 May 1831 in Glasgow Lanarkshire Scotland, died on 26 January 1896 in Nhill Hospital Victoria Australia at age 64, and was buried on 27 January 1896 in Nhill Cemetery Victoria Australia. The cause of her death was Burnt to death in her home. Other names for Elizabeth "Annie" were Flemming, Anne FLEMING KIBBING, and Annie KIBBIN. Their journey took 111 days, with the eldest child William Finlay travelling in the unmarried males quarters. He is reported as being 17 years old. The parents are listed as both being aged 38 years old. The other children were listed as Annie 12, Ellen 11, Mary Ann 7, James 6 and Andrew 4. Elizabeth "Annie" married Joseph HARRIS on 22 October 1849 in Victoria Australia. Joseph Harris was born on 1818 and died 1863 Victoria Australia aged 45 years. They had six children: Andrew, Thomas, Annie Elizabeth, James, Annie and William. Andrew HARRIS was born in 1851 in Melbourne Victoria Australia, died in January 1924 in Ballarat Victoria Australia at age 73, and was buried in 5 January 1924 in Ballarat Victoria Australia. Thomas Harris was born in 1853 in River Plenty Victoria Australia and died before 1869. Annie Elizabeth HARRIS was born on 19 November 1855 in Creswick Victoria Australia, died in 1860 in Creswick Victoria Australia at age 5, and was buried in 1860 in Victoria Australia. She never married and had no children. James HARRIS was born in 1858 in Bullarook Victoria Australia, died 6 June1946 in Swan Hill Victoria Australia at age 88, and was buried 8 June 1946 in Swan Hill Victoria Australia. The cause of his death was Senile Myocarditis. James married Christina Sarah BURGESS, daughter of Edward BURGESS and Caroline TALBOT. Christina Sarah was born in 1860, died in 1948 in Swan Hill Victoria Australia at age 88, and was buried in 1948 in Victoria Australia. They had eight children: Edward Henry, Joseph Andrew, Ernest James, Alfred Jonathon, Christina Lillian, Arthur Edgar, Walter Frederick and Laura Sophia. Joseph Andrew HARRIS was born in 1887 in MT Prospect Victoria Australia, died in 1929 in Victoria Australia and was buried in 1929 Victoria Australia. Ernest James HARRIS was born in 1889 in MT Prospect Victoria Australia, died in 1920 in Swan Hill Victoria Australia at age 31, and was buried in 1920 in Swan Hill Victoria Australia. Ernest was the third youngest of four brothers (there were six brothers all up) who enlisted in the Great War. They were from Musk Vale Victoria. Ernest was shot in the leg in France - survived - has many hospitalisations due to lung conditions (we think these boys were miners prior to joining) all had lung issues, Joseph being the worst. 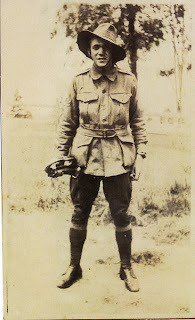 While Ernest did return to Australia, he died a year later living with his elder brother Edward, Post Officer at Swan Hill. Alfred Jonathon HARRIS was born in 1891 in MT Prospect Victoria Australia, died in 1967 in Castlemaine Victoria Australia at age 76, and was buried in 1967 in Victoria Australia. 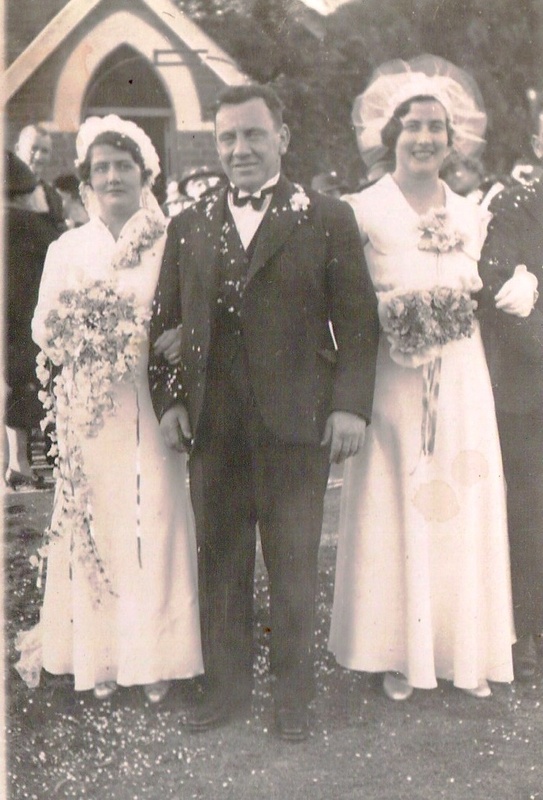 Alfred Jonathon married Mary GALVIN, daughter of Henry George Galvin and Jane Jacobs in 1923 Victoria Australia. Christina Lillian HARRIS was born in 1894 in MT Prospect Victoria Australia, died in 1929 in Colac Victoria Australia at age 35, and was buried in 1929 in Victoria Australia. Arthur Edgar HARRIS was born in 1896 in MT Prospect Victoria Australia, died in 1960 in Park Victoria Australia at age 64, and was buried in 1960. Walter Frederick HARRIS was born in 1898 in MT Prospect Victoria Australia, died on 29 October 1977 in Cobram Victoria Australia at age 79, and was buried in October 1977 in Cabram Victoria Australia. Walter Frederick married Margaret E. Margaret E was born in 1899, died on 21 May 1979 in Cobram Victoria Australia at age 80, and was buried in May 1979 in Cobram Victoria Australia. Laura Sophia HARRIS was born in 1902 in MT Prospect Victoria Australia. Annie HARRIS was born in 1860 in Spring Hill Victoria Australia, died in 1863 in Creswick Victoria Australia at age 3, and was buried in 1863 in Creswick Victoria Australia. She never married and had no children. William HARRIS was born in 1864 in Creswick Victoria Australia and died after 1896. Elizabeth "Annie" next married Peter CONVERY, son of Peter CONVERY and Mary, in 1867. Peter was born in 1831 in Ballymena Andrim Ireland, died on 29 October 1869 in Sebastopol Ballarat Victoria Australia at age 38, and was buried on 31 October 1869 in Ballarat Cemetery Victoria Australia. The cause of his death was Suffocation from Mine Accident at Ballarat. They had six children: Mary, Ellen, Thomas, John, Margaret and Albert Ernest. Peter would have come to Australia approx 1851. Another fatal mining accident occurred yesterday morning by which Peter Conway (mistake in spelling) a married man and father of four children has been suddenly deprived of life in one of the drives of the No.1 Shaft Baud and Albion Consols. It appears that the poor fellow was putting in some timber when a portion gave way and before he could escape he was buried beneath the falling timber and the earth, his mates who were working near having also a narrow escape. Deceased fell about four sets from the "flat" but it took some hours' labor to dig the body out which was not accomplished till near four o'clock in the afternoon. There are conflicting statements as to the cause of the accident, but as the inquest will be held to-day all the known facts will then be obtained. The inquest on the body of the miner Peter Conway who was killed at the No 1 Shaft of the Band and Albion Consols on Friday was held on Saturday. The evidence elicited nothing beyond what has already been reported and a verdict was returned of death from suffocation caused by the earth and broken timber falling down upon him, as the jury thought, through the cap-piece being unsound and not centered. -- N. Broad List -- Ballarat Courier, 30 October & 1 November 1869. The inquest on the body of the miner Peter Conway, who was killed at the No.1 shaft of the Band & Albion Consols on Friday, was held on Saturday. The evidence elicited nothing beyond what has already been reported, and a verdict was returned of death from suffocation caused by the earth and broken timber falling down upon him, as the jury thought, through the cap-piece being unsound and not centred. The above was in the Ballarat Courier 1st November 1869. Ballarat Courier. Saturday 30th. October 1869. Another fatal mining accident occurred yesterday morning, by which Peter Conway, a married man, and father of four children, has been suddenly deprived of life, in one of the drives of the No. 1 shaft Band and Albion Consols. It appears that the poor fellow was putting in some timber, when a portion gave way, and before he could escape he was buried beneath the falling timber and the earth, his mates, who were working near, having also a narrow escape. Deceased fell about four sets from the "flat," but it took some hours' labor to dig the body out, which was not accomplished till near four o'clock in the afternoon. There are conflicting statements as to the cause of the accident, but as the inquest will be held today, all known facts will then be obtained. Medical Notes: Death was "suffocation from the accidental falling down of the Timbers and earth upon him whilst mining." Death certificate lists 4 children - 2 boys and 2 girls??????? Mary CONVERY was born in 1868 and died after 1896. Mary married John William SCOTT in 1897. Ellen CONVERY was born in 1870 in Sebastopol Ballarat Victoria Australia, died after 1896, and was buried after 1896. Ellen married HUNTLY. They had one son: William. Thomas CONVERY was born on 4 January 1872 in Ballarat Victoria Australia, died 2 April 1916 ALbury NSW Australia aged 44 years. General Notes: From his date of birth Thomas was not fathered by Peter Convary as he died 29 October 1869 and Thomas born in 1872. John CONVARY was born in 1875 in Ballarat Victoria Australia, died on 19 June 1923 in Gilgandra District Hospital NSW Australia at age 48, and was buried on 21 June 1923 in Gilgandra Cemetery NSW Australia. The cause of his death was Killed by train at Gilgandra. Another name for John was John O'Haunlan FLEMMING-CONBERRY. On John's birth certificate the father column also says illegitimate, mother "Annie Flemming now Conberry", obviously misheard Convary. The informant is Margaret Smeaton "a friend". Witnesses nurse Mrs Henry (difficult to read). John was born in Ballarat and his name is registered as John O'Haunlan. John occupied Allotments 69 to 70 Parish of Purchember in 1899. Family moved from Victoria by Horse and Wagon. John was a Bricklayer and settled in Gilgandra in 1914. Family lived in Balladoran Road, Vera Street and Miller St Gilgandra NSW Australia. Inquest was held into John's death on 21 June 1923. 8 Sep 1923. On this date letter of Administration of the Estate of the said deceased were granted to Alice Annie Convary of Gilgandra, the widow of the said deceased. Bond in amount of 250 pounds Sureties William Pearce C/- Gilgandra Railway, Ganger and George Ralph Smith of "Widgory" near Tooraweenah farmer. Intestate died at Gilgandra 19 June 1923. Estate sworn at 108.0.0 pounds nett. Death Certificate: Cause of death - Effects of injuries accidentally received through being run over by a train at Gilgandra. Finding at Inquest held at the Court House Gilgandra NSW on 21 June 1923. John married Alice Annie SMITH, daughter of Ralph Bunbury SMITH and Elizabeth Sarah WALLIS, on 16 February 1898 in Brougham Street Nhill Victoria Australia. Alice Annie was born on 9 December 1875 in Dublin South Australia, died on 13 October 1957 in 99 Miller Street Gilgandra NSW Australia at age 81, and was buried on 15 October 1957 in Gilgandra Cemetery NSW Australia. The cause of her death was Heart Attack. 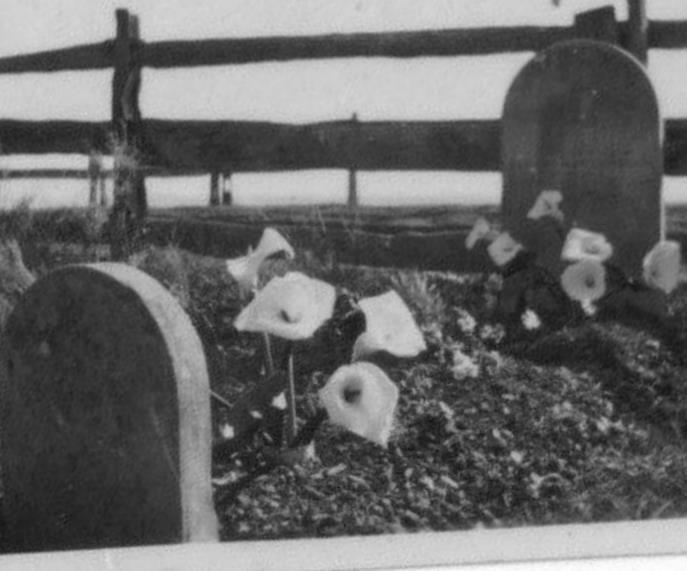 They had six children: Peter John, Glen Halpin, Clarence John, Lawrence "Laurie" James, Leonard George and Alice Annie. Alice paid 7/6 pence for mortuary fees after the death of John. To survive she sold fruit, jams and sewed for the people of Gilgandra. Obituary - Gilgandra Newspaper October 1957. As briefly mentioned in last issue the death occurred of an old Gilgandra resident on the night of Sunday 13th inst in the person of Mrs Alice Annie Convary at the advanced age of 82 years. The late Mrs Convary retired to rest on the Sunday night apparently in her normal health and passed away in her sleep. She had been a sufferer from heart trouble for some years past. 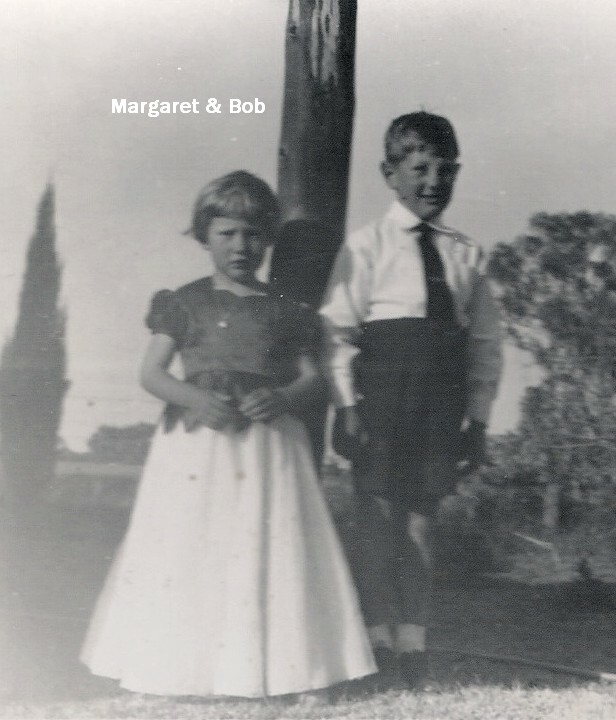 Born in Dublin South Australia deceased later moved with her parents to Nhill Victoria. She and her husband came to Gilgandra in 1915 where she had lived ever since. Her husband pre-deceased her in 1923. She was a highly respected and esteemed resident liked by all with who she came in contact and the sad news of her sudden demise was received with regret on all sides. She is survived by a family of four sons Glen (Gilgandra) Laurie (Gilgandra) Clarrie (Rabaul New Guinea) and Leonard (Gosford) and one daughter Alice (Mrs I Reichelt of Sydney). Two brothers Messrs James and Thomas Smith both of Gilgandra, also survive her and two sisters Mrs R Kossatz of Netherby Victoria and Mrs C Geddes of Melbourne. To the bereaved family the sympathy of many friends in these parts is extended in their sad loss. The funeral left the Methodist Church on Tuesday of last week following a service conducted by Rev. L.L. Arthur who also officiated at the grave side. Funeral arrangements were conducted by A.H. Ross. Margaret CONVARY was born in 1876 in Talbot Creswick Victoria Australia died in 1952 and was buried in Nhill Cemetery Victoria Australia aged 76 years. Another name for Margaret was FLEMMING. General Notes: From her date of birth Margaret was not fathered by Peter Convary as he died 29 October 1869 and Margaret was born in 1876. Creswick is about 10 km's north of Ballarat Victoria Australia. In the father column for Margaret it says illegitimate, mother Annie Flemming. The informant was Annie and the witnesses were Annie's mother, Mrs Ellen Flemming and a Mrs A Flemming. Margaret was born in Talbot, which is a little north of Ballarat - small goldmining town. Margaret had a relationship with UNKNOWN. Marriage status: unmarried. They had one son: Clarence Arthur. 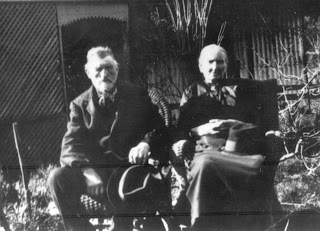 Margaret married Elijah Sturgess BEARD, son of William BEARD and Mary WILEY, on 15 May 1901 in Home of Bride's parents Nhill Victoria Australia. Elijah Sturgess was born in 1873 in Kingston South Australia, died in 1950 in Nhill Victoria Australia at age 77, and was buried in 1950 in Nhill Cemetery Victoria Australia. They had six children: Ella Margaret, Thomas Elijah, Ethel Annie, Lottie Eileen, Leslie "Les" Charles and Raymond "Ray" Clarence. Albert Ernest CONVERY was born in 1878 in Ballarat Victoria Australia, died before 1896, and was buried before 1896. Another name for Albert Ernest was FLEMMING. I have Annie Convary's marriage certificate to Joseph HARRIS. Do you know when Joseph died? I have found references to an Annie and Joseph Harris in the Creswick and Clunes Advertiser. They are from around the time that Annie had her last child with Joseph and just prior to any children with Peter CONVARY. "I The Undersigned, herby give notice to Storekeepers and others that I will not be answerable for any debts my wife, Anne Harris, may contract after this date, and anyone found harboring her after this notice, will be dealt with according to law - Joseph Harris, Spring Gully - Creswick & Clunes Advertiser 1st March 1865." Annie Harris v Joseph Harris - Refusing to give complainant and his child adequate means of support. Mr Hockley for complainant. Mr O'Dee for defendant. Mr O'Dee stated that his client was perfectly willing to take her back and support her to the best of his ability. Mr Hockley said his client was in danger of her life from the defendant, and urged the Bench to grant her a separate maintenance. The Bench dismissed the case, remarking that the complainant could take out an information against her husband - Creswick & Clunes Advertiser 13th December 1865". I can not find a record of marriage between Annie Harris and Peter Convary. I have however, found and purchased, two separate death certificates for Peter Convary. One is registered in the district of Ballarat for a Peter CONVERY, miner. The Informant is the Coroner. It states that Peter was 38 years, born in Ballymena, Antrim, Ireland and had been in Victoria for 18 years. That he had married at age 33, in Creswick to Anne Fleming. Children were given as 2 boys and 2 girls, names and ages unknown. Date of death 29th October 1869 at Sebastopol from "suffocation from the accidental falling down of the timbers and earth upon him whilst mining" - verdict 30th October 1869. The other certificate is registered in the district of Sebastopol, for a Peter CONVARY, miner. The Informant is a constable of Sebastopol, "present at Inquest". It states that Peter was 35 years, born in County Antrim, Ireland and had been in Victoria for 18 years. That he was married at age 28, in Ballarat to Mary Fletcher. Children were given as 2 girls, 1 boy, names and ages unknown. Date of death 29th October 1869 at Sebastapol from "accidental suffocation from fall of earth in mine" - inquest held by coroner 30th October 1869. Following on from this, I have been unable to find a record of marriage between Mary Fletcher and Peter Convary, nor the birth of any children. 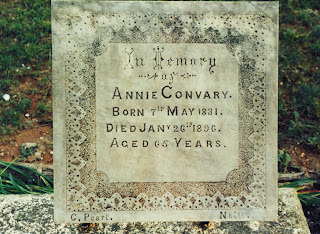 There are four children born to Annie Convary, after the death of Peter in 1869. I noticed that for Thomas, the father is given as Peter, and for John, Margaret and Albert, father unknown. As I am tracing her line, I know that Margaret took the surname Convary, not Flemming and when she married Elijah Sturgess BEARD in 1901, she said that her father was Peter Convary. Whether she grew up believing this, or lied, I suppose we will never know. She did lie about her age on her marriage certificate, 22 years, when she would have in fact been closer to 25. Margaret also gave birth to a son, Clarence Arthur Convary in 1895, six years before she married. He died at six months of age. I notice that your interest follows John O'Haunlan. Do you have any idea who his father may have been? I am afraid that I am unable to shed any light on who the father, or fathers, of Annie's last four children may have been. She certainly lived an interesting life. I have a copy of the inquest into her death and a copy of the report in the Nhill Free Press. I have been to Nhill cemetery. Annie's grave is quite overgrown, but is marked with a small headstone. She is buried with a grandson, Peter J Convery. Margaret and Elijah Beard are buried close to her. Many of their descendants are still in Nhill today. 'FATAL FIRE AT NHILL 12-45am MONDAY JANUARY 27 1896"
Annie Convary, resident of Church Hill in Nhill was burnt to death in her home - aged 63 years. Deceased was the mother of a large family, most of whom were absent from Nhill at the time of the fire. Occupants of the house beside the above were daughter Ellen, William Huntly, son James Harris - both children. William Huntly was the grandson of Annie Convary. Annie, James Harris and Ellen slept in the one room, Huntly in the adjoining room. Annie woke Ellen saying the house was on fire and Ellen took Harris outside and returned to wake Huntly. She did not see her mother again. House was ablaze when fire brigade arrived and it was impossible to make any entry to the house. The Coroner returned the verdict that Annie Convary was burnt to death with no evidence to show how the fire originated. Annie Convary occupied a house on allotment 11 section 1 Langford Street Nhill. Shire rate books of 1894, 1895, 1896 upon which arrears of water rates were owing. Fatal Fire at Nhill - sad end of a widow - Burned to death in her cottage. About a quarter to one o'clock on Monday morning the bell of the fire brigade rang out its warning notes, and in a remarkably short space of time a large majority of the townsfolk was astir, each enquiring of the other the locale of the fire. It was soon ascertained that a house on Church Hill, in which a family named Convary were living, was in flames. The brigade responded to the summons with praise-worthy alacrity, but the fire had got well under way before the alarm was given, so that it was plain on its arrival at the scene that there was no hope of saving the building. The pressure of water was good, and two streams were got on to the flames. In the meantime it became known that Mrs. Convary was confined in the doomed building. This was first made known by her daughter Ellen, who was in a distracted state, bordering on frenzy. On being questioned by Mounted-constable Kroon, who was amongst the first arrivals, the unfortunate girl appeared quite unable to give a coherent statement. When the fire had pretty well exhausted itself a search was made for the remains of Mrs. Convary, and they were found under the debris of one of the front rooms. The body was terribly charred beyond recognition, and the legs were missing. It was at once removed to the police station under the direction of Senior-constable Montiford. The origination of the fire is shrouded in mystery. Besides the deceased, her daughter Ellen and two little grandsons were the only occupants of the house at the time of the outbreak, which according to a subsequent statement by her daughter, deceased first discovered. She evidently had plenty of time to escape, but it is presumed that she lingered too long in the room and was overpowered by the smoke. With the exception of a few burns sustained by one boy named Harris the other occupants of the house escaped injury. The whole of the family's belongings was destroyed. Deceased, who had resided in Nhill for some time, was the mother of a large family most of whom were absent from Nhill at the time of the sad occurrence. Fuller particulars are furnished in the depositions taken at the Magisterial Inquiry. A Magisterial Inquiry was held at the Court House Yesterday morning, before Mr. J. Young, J.P. Senior-constable Montiford represented the Crown. 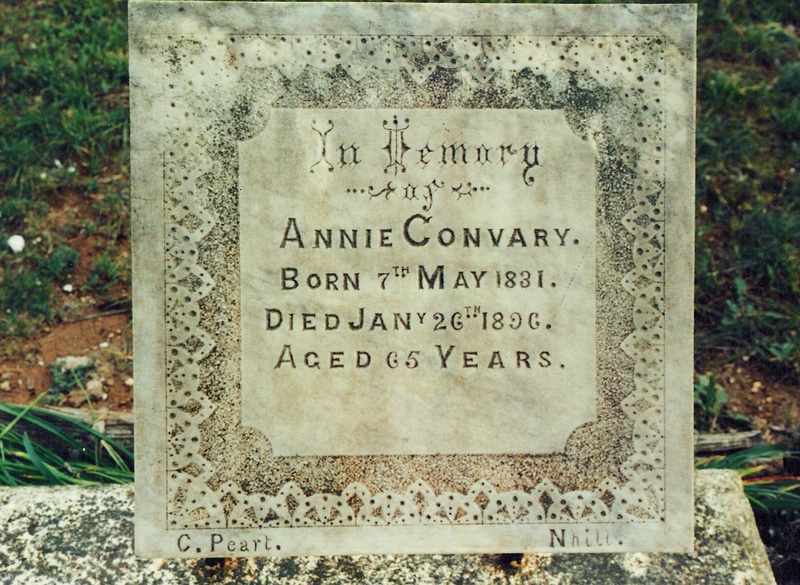 Ellen Convary deposed: I am a daughter of the deceased woman, whose name was Annie Convary. She was a widow, 53 years of age, living at Church Hill, Nhill. I was at home with her on Sunday evening. Besides me there were in the house when we went to bed, my mother, William Huntly, and James Harris, the two latter are children. I slept in the same room as my mother in a separate bed. The boy, James Harris, slept with my mother. We went to bed about eight o'clock. I was awakened by my mother, who told me the house was on fire. She had Jim Harris in her arms. When I awoke the room was on fire, and I went outside with Jimmy Harris, and returned for the boy William Huntly. Huntly was sleeping in another room just behind ours. When I returned for Huntly I did not see my mother. At this time the flames were confined to the front room where my mother and I slept. When I went to sleep Willie Huntly was reading to my mother. I was asleep when Huntly left the room and cannot say whether the light was left burning or not. There had been no drinking in the house during the day, and my mother was perfectly sober when she went to bed. There was no fire about the house, as I saw the fireplace before going to bed. I don't think my mother was dressed when she called me. I was unable to get dressed. I can from no ideas as to how the fire occurred. The house was not insured. My mothers life was not insured. William Huntly deposed: I lived with my aunt and grandmother, the deceased. I last saw my grandmother in her bed. I was reading to her. This was about 8 o'clock. I think I was reading to her about half an hour. My aunt was in bed asleep in the same room. My grandmother after a time said I had read enough, and could go to bed. My auntie Nellie awoke me saying the house was on fire. My aunt took me out through the back door. When I got up I saw flames rushing out of the middle door into the back room. When I went out I looked back and the fire seemed to be coming out of the front room, opposite my grandmother's room. There was a fireplace in the room where the fire was coming out of, but there had been no fire used in it for a long time. When I finished reading I left the candle where it was, which was some distance from where my grandmother was sleeping. I looked at the kitchen fire before going to bed, and there was no fire burning. Thomas Murphy, captain of the Nhill Fire Brigade, deposed: I was present at the fire at Convary's. When the brigade got there the place was wholly on fire. I, living near, reached the place before the brigade, the place was enveloped in flames. I knew the room where the body was found. It was impossible to get into it. When we were able to get into the room the body was found lying on the right side with arms turned back, the feet were under the bed, the seat of the fire seemed to be in the room where the body was found. A verdict was recorded that the deceased, Annie Convary, was burned to death at her residence, Church Hill, there being no evidence to show how the fire originated, being apparently accidental. SECOND DAY-Wednesday, March 11th. Michael Kinsella was presented on the charge of stealing from the person of Rudolph Max Schanze. The Crown Prosecutor having stated the case called Edward Rudolph Max Schanze, who deposed that he resided at Nhill; remembered on the 5th February, at Nhill, seeing the prisoner at Convary's house; he asked witness where he was going to, and at his suggestion decided to stop at Convary's ; they went up to the town together for about an hour, had three or four drinks; lent the prisoner a pound. Had £18 when coming into Nhill and afterwards had about £17 and some silver; the money was in a purse in witness' left-hand trousers pocket . Took a £1 note out of the purse to lend to prisoner.The purse produced was the one. Had three £5 notes left, one single note, a half sovereign. and some silver ; did not know what bank the notes were on. Prisoner first said "you must have a good bit of money to be able to stay in the town;" replied, yes, a good bit," and he said "you might let me have a pound and I'll give it to you tomorrow." Went back to Convary's, and did not leave again, but the prisoner left twice. There were some others at the house. Had tea at the house, and after tea had some discussion with prisoner about some German words ; told prisoner he would give him one pound if he could translate certain German words ; and that was not enough ; then pulled out a £5 note, and offered to give him another note if he could, and he then said he could not do it. The prisoner saw the other notes. About two hours after Mary Convary called witness on side and she asked him if he had got his money and he felt for it and he had not got it. Was going back to look for it and she said, "I know who has got your money; Mickey the man has got it." He was near enough to hear it if he was listening. When witness returned, prisoner was sitting at the table and then saw prisoner throw something under the table. Witness said to him don't chuck anything away"; took the candle, looked under the table, and found it was a pound note; witness put it in his pocket, and asked prisoner where the other note was and he said, " Charley excuse me for robbing you," and witness replied I'll excuse you if you give me my money back ;" He said he had not got it, but he had handed the purse to Mrs Fleming; she was an aunt of Miss Convary. She was in the room at the time. Did not notice anyone leave the room. The prisoner wanted to get out of the room, and witness stopped and said "I want my money;" he said he hadn't got it; could not do anything with him. Miss Convary said "you are not going to hit anybody in my mothers house. "Then she said "You leave him to me and I'll get your money." Cane said to prisoner,"If you have got the money you had better give it up." Prisoner said "come outside and I'll give it to you." They went outside and in about a minute Harry Cane came in and said "he's gone." After that he was arrested by Constable Elliott, about 10 minutes after leaving the house. Mrs Convary and her son went for the police. Had not seen anything of the money since. To Prisoner--Did not tear the shirt off your back. Don't know who did. Could I suggest? you had your tea there that day. He went for beer twice. Did not search you in the house. Did not take your??? off. Gave you 2s to go out for some beer. John Convary, a boy nine years of age, tated that he remembered the prisoner and prosecutor being at his mother's house on the 5th of February; did not know whether they had tea there; remembered them sitting at the fire after tea. Witness was sitting on a box between the two but a little at the back. Witness' brother Tim was also there. Saw the prisoner put his hand in Schanze's pocket and take out a purse, something like the purse produced,a nd put it into his breast; a few minutes afterwards witness saw the purse on the floor, and said to prisoner " Mick, there's that man's purse on the floor"; he said, hush, hush, don't tell anybody." witness then told his brother Thomas, and he went and told his sister Mary; witness then went out of the room and did not come back again. It was Schanze's left hand pocket prisoner put his hand in. Prisoner had no waistcoat on, he was sitting in his shirt. To His Honor-Max Schanze and prisoner were both sober. When the prisoner took the purse there were Max Schanze, prisoner, myself, and my brother Thomas. Thomas Convary remembered the prisoner and Max Schanze being at his mother's house witness' brother told him prisoner had taken the purse, and witness went out and told his sister and his brother followed him. Max Schanze and prisoner were both sober. Mary Convary deposed that she remembered her brother Thomas telling her that the prisoner had taken Max Schanze'e purse; called Charley (Schanze) out and asked him if he had got his money, and when he found he had not he took off his coat and went to strike the prisoner, and she said "You are not going to strike anyone in my mother's house," as she (her mother) was lying down with rheumatics. The prisoner said he had not got the money, and lifted his hand as if he was going to strike her, and then Harry Cane came and said "Leave him to me, and I'll get the money." Prisoner said "Come outside Harry, and I'll give you the money." They went out, and Cane came hack in two or three moments and said "He's gone."??? Max Schanze's purse at the time when he took it out and took out a note, and said he would give it to the prisoner if he could interpret certain German words; afterwards put it back into his left-hand pocket. Afterwards saw? the purse in Mrs. Fleming's hands. William Convary deposed to being told of the robbery and saw the prisoner give the purse to Mrs Fleming (witness' aunt). As Max Schanze came into the room saw prisoner throw a pound note under the table. A man named Monk prevented prisoner from????? and prisoner said to Harry Cane come outside Harry, and I'll give you the money." Gave information to the police, and went after the prisoner and got him, and then gave him in charge. To His Honor--Had known the prisoner about two years; he appeared to be constantly in work, and obtained his living by worked with him at one time on the ?? Harriet Fleming, aunt of the last two witnesses, gave corroborative evidence as to the prisoner handing her the purse, which she handed to her nephew William. Andrew Fleming, a laborer, deposed that he arrived after the robbery, and heard prisoner say to Max Schanze " Excuse me Charley, for robbing you, "did not hear what Charley (Schanze) said. After that, prisoner told Cane to come outside, and he would give him the money. Cane returned in a minute or two and said '" He's gone." Harry Cane, a laborer, deposed that he told the prisoner if he had the money to give it up, and he said "come outside"; prisoner went outside and he (witness) stood in the doorway facing him. and said "if you have got the money you had better give it up"; he said "how can I give it up when I have not got it," and then he ran away towards the township; he said "I'll go and get the Police to protect me." Witness was pretty well drunk that night. If other witnesses said prisoner had said more than witness had stated, would not swear he had not. Did not think the prisoner was sober. After six o'clock he was lying in a cart, and appeared drunk. John Samuel Monk gave corroborative evidence as far as to hearing prisoner say "Let me out and I'll give the money to Cane." Cane was the worse of drink, but the prisoner appeared to be sober. Constable Daniel Keane deposed to the prisoner being brought to the lock-up by Constable Elliott and the Convarys. Constable Eiiott deposed as to the arrest of the prisoner. His Honor summed up, and the jury re-tired, and after an hour's absence returned, and asked if an eleven-twelfth verdict could be accepted, and being replied to in the negative by His Honor, the foreman stated that they wished to ask a question of the prosecutor and also of the boy John Convary. Edward Rudolph Max Schanze was then resworn and asked to describe the shape of his pocket. He stated that he wore the same trousers at the present time, and exhibited his pocket to the jury. John Convary was then re-sworn and in reply to a question by the foreman stated that the prisoner was exactly at the side of the prosecutor and he (witness) was behind; the chairs prisoner and prosecutor were sitting on were the same height. The foreman then stated they had arrived at a decision, and returned a verdict of "not guilty" against the prisoner, who was then discharged. Loved reading your blog. I too am a descendant of Andrew and Helen Fleming. My name is Rebecca Mortensen. 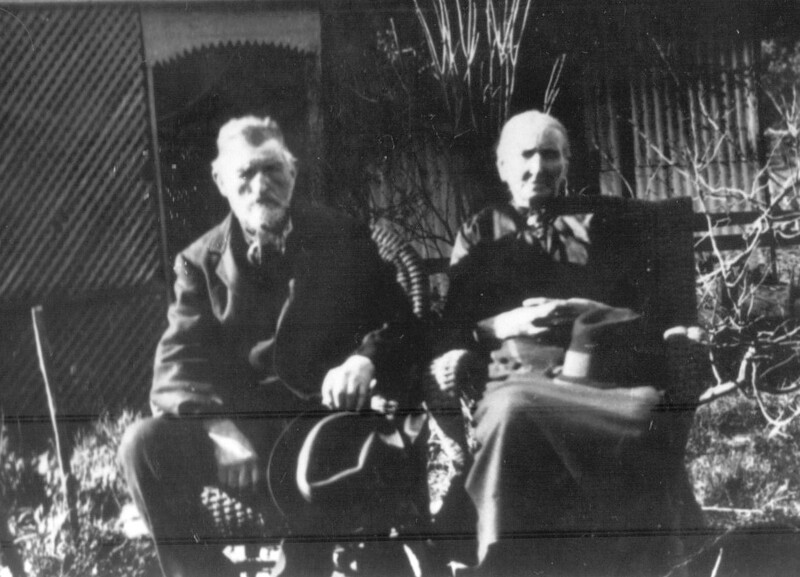 Andrew and Helen Fleming had a daughter, Mary Ann who married James Stokes and had a daughter, Harriet who married James John Wotton and had a daughter Margaret who married Thomas Cochrane and their daughter is my Grandmother Hazel Ann Cochrane who Married Eric Mortensen. Family trees are fascinating. I have even found a few convicts along the way.